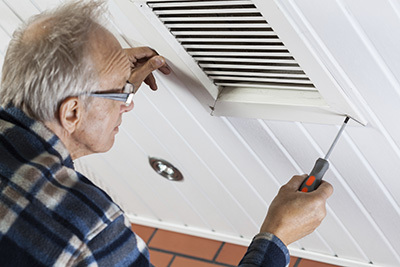 Blog | Air Duct Cleaning, Is it Necessary? Air Duct Cleaning, Is it Necessary? The United States Environmental Protection Agency (US EPA) has not seen a direct link between air duct cleaning and improved indoor air quality. Does that mean having your ductwork cleaned professionally is a waste of money? While there is no solid evidence that getting professional air duct service can actually improve air quality indoors, it is still very important to submit your ductwork for a thorough cleanup. For one, they can be a breeding place for mold growth. The hard surface of sheet metal may house mold, especially if it gets wet occasionally. For another, they can become infested with dead insects or rodents, which could significantly cause discomfort with a foul smell that infiltrates the house. In some cases, it is not enough having the air ducts cleaned thoroughly. It may also require air duct repair or replacement, depending on the current state of your ductwork. Sanitizing and deodorizing are also a must if you want to be free from the clutches of mold, dust, and other debris. * Dirty ductwork can affect the efficiency of your heating and cooling systems. For lower energy bills and more comfortable surroundings, you must have not just the ductworks cleaned but other related elements in the heating and cooling system. If you have a fireplace or a furnace, it is a must to have them inspected before winter begins to make sure they work perfectly fine and without safety risks. * More than the air duct itself, filters can get filthy or damaged over the course of continued use. Air filter cleaning is an important service that you must not leave out. It is recommended that skilled professionals be called to replace filters as needed. * If there is a significant amount of residue resting in the surface of your ducts, it is a must to have them cleaned thoroughly. You would not want the foul smell from dead rodents and other insects that get trapped in ducts to creep into your home.